Find below some of the World’s Best Instagram Marketing Courses. Curated by MAU. Senior Instagram Marketing Specialist and trainer at eDigital. Instagram has become one of the most popular social media channels for companies of all sizes. If you’re ready to harness the power of Instagram, these courses will detail every marketing technique that works. Rather than wasting time experimenting with different types of posts and strategies, all these courses are professionally designed so you can learn exactly how to grow your Instagram account and market any type of offer, service or product effectively. Through straightforward, easy-to-understand instructions on these Instagram Marketing Courses packed with Instagram Marketing Strategies you can apply right away. The below list of Instagram Marketing courses will cover everything you need to know to successfully market any person, product, service, or brand on Instagram. You’ll understand the types of images that perform best on Instagram, as well as the tactics that are most effective at not only attracting and retaining more followers, but also increasing engagement and interaction. If you’ve been struggling with making your posts go viral on Instagram, these courses have you covered. You’ll be able to use hashtags and other easy techniques to get your posts in front of the largest audience possible in order to increase sales. PRIVATE SESSION. This is a private online session that can be tailored to your specific goals. You are encourage to bring your top five agenda items. These can be top questions or key challenges you are facing with your Instagram Marketing Strategy. BEST STRATEGY FRAMEWORKS. MAU. 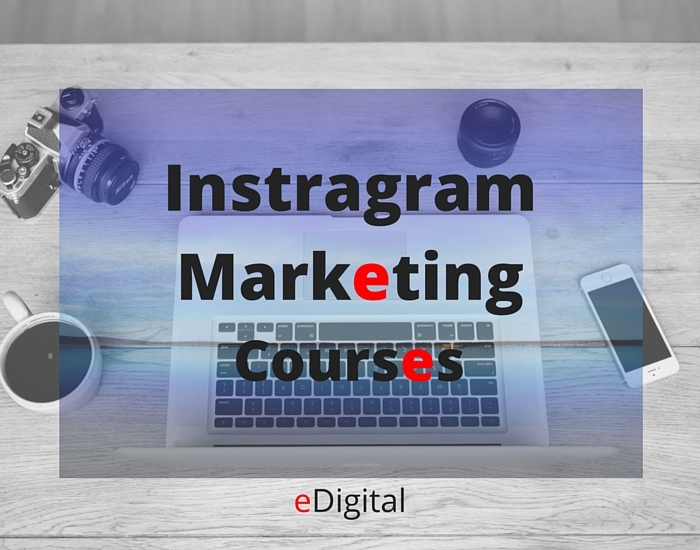 Senior Digital Marketing Specialist at eDigital will share successful Instagram Marketing Strategy Frameworks that you can use for your business and brand. PRACTICAL TIPS. MAU. will un-cover some secret Instagram tricks, tips and tools most people do not know to generate a big following in the shortest period of time. OUR EXPERIENCE. If time allows, MAU. will also be talking on how eDigital gained more than 6000 followers with only 120 photos posted via @eDigitalPhotos Instagram account. ✔︎ How to design your Instagram Marketing Strategy. 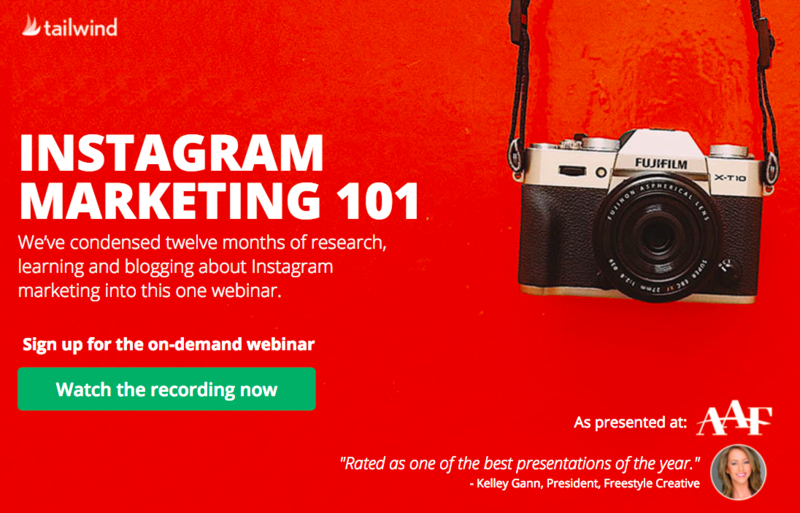 ✔︎ How to find and target your most profitable customer on Instagram. ✔︎ How to design a consistent and impactful visual feel your most profitable customer would love to follow, like and comment. ✔︎ How to create a strong aesthetic, how to compose images and all the Instagram etiquette tips you didn’t know you needed to know. ✔︎ You will also get the chance to put their theories into practice by shooting your own Insta-vignette. ✔︎ FREE BONUS: Exclusive access to a collaborative Social Media Marketing Plan Template ready for you to manage all your Instagram Marketing Strategy! Complementary Interactive Social Media Plan. 50% offer from one of your Instagram “likes” partners. How to select your key hashtags to quickly increase followers and comments. How to strategically create visual content that attracts your most valuable customer segment. How to visually curate your products and services so your followers like and comment. Top 5 Instagram case studies from top Instagram creators who started with zero followers. 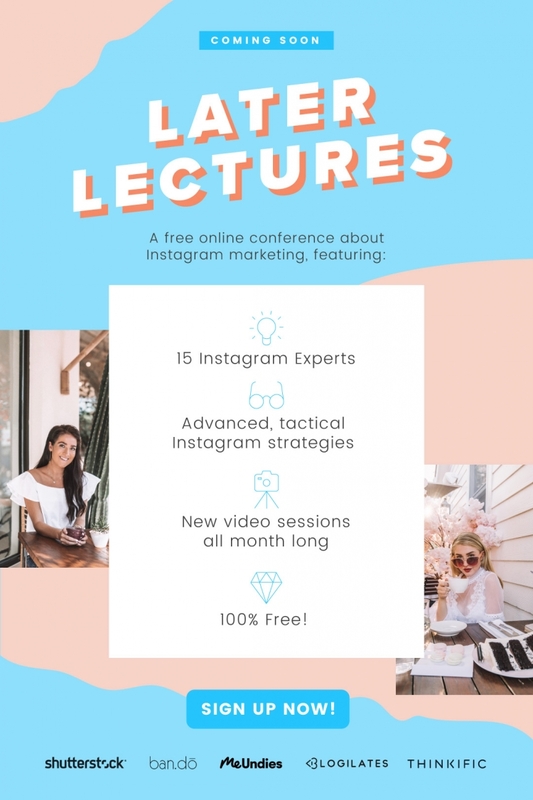 Later Lectures is a whole month of free Instagram training from 15 leading experts and brands. 🎉 Learn the skills you need to succeed on Instagram, like photo editing, designing stories, analyzing your analytics, tracking sales, and so much more! In under 30 minutes, learn how to design your own Instagram aesthetic and plan the perfect feed, so you can grow your Instagram faster with Later’s free Instagram training course, How to Create Your Instagram Aesthetic. The course is hosted by Later’s very own Taylor Loren and Lizzie MacNeill, but you’ll also hear from 4 guest speakers who are pros at all things Instagram. The secret to getting more likes on Instagram? It all begins with the content, and one of the hardest parts about using Instagram for business is creating beautiful content for your feed, every single day. 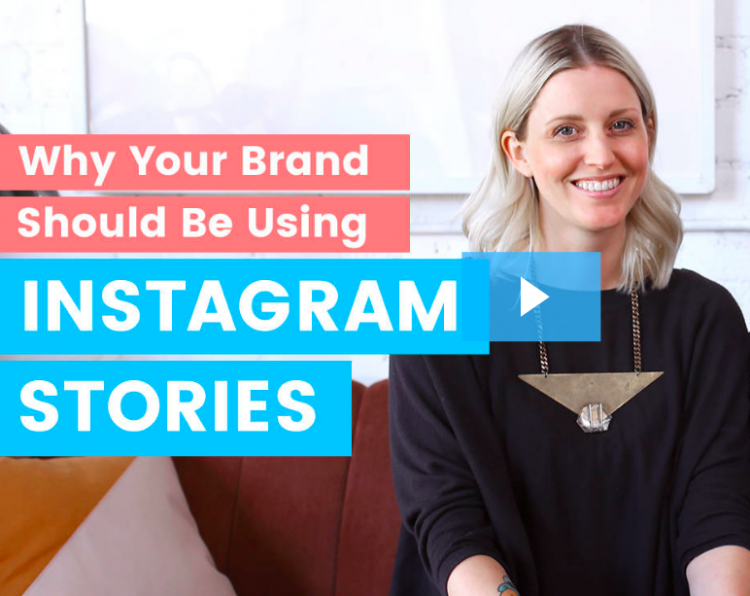 Stephanie shares tips and tricks for how to create and source content for Instagram that people will love. The course has two main themes: curation and creation. In the first part, this Instagram course covers how to source and repost Instagram content, how to find content that aligns with your business’ aesthetic, the 3 “Must Do’s” before reposting, and how to encourage your own community to create content for you. In the second part of the course, you’ll learn how to style, shoot, and edit your own images with the camera on your phone. Short on time? Check out Craftsposure’s free Instagram training course, Five Minute Instagram Growth. For five days, you’ll receive a free five minute lesson straight to your inbox with tips to help you improve your Instagram marketing skillset. The course focuses on how to use the right hashtags, find your target audience, take better photos, promote your products and services, and beat the Instagram algorithm. If you’re looking for general Instagram marketing tips, this is a good course to get started with! Online Instagram Training Course. $27 – 75min class, includes online presentations slides. Instructor: Krista Neher. Instagram + your brand Course. North Sydney, 3 hours, Instructor: International School of Colour + Design . Price: $125. Learn how to grow your business with Instagram Stories! Learn to get more followers, drive more traffic to your website, and sell more of your products and services with Later’s Instagram Stories for Business Course! 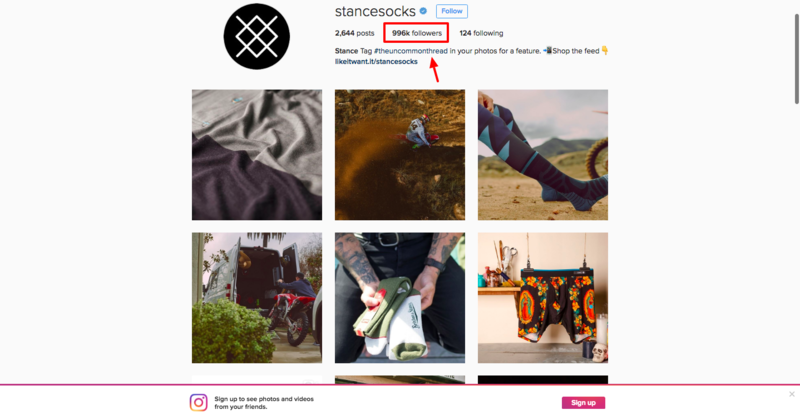 Would you ever imagine a sock retailer could reach 1 million followers on Instagram and keep expanding their business. This and some other examples of successful Instagram strategies is what you will learn by taking one of the above courses listed.